1. GUN VIOLENCE: Gun violence in urban areas of the state continues to reach crisis levels. Legislative debates about increasing prison sentences for gun crimes have drawn passionate reaction on both sides of the issue. Even supporters of longer sentences have acknowledged that to stop gun violence, Illinois must do more than increase prison time for repeat offenses. Chicago Police Superintendent Eddie Johnson has said repeatedly that we cannot arrest our way out of this gun violence problem, and Cook County State's Attorney Kim Foxx has stated that while Illinois laws impose some of the most severe penalties to those convicted of gun crimes, the state has not enacted major legislation targeting the flow of illegal guns into victimized communities. What specific actions would you take as Governor to help address gun violence? What should Illinois do to crack down on the flow of illegal guns into our neighborhoods? What will you do as Governor to improve police effectiveness, help support interventions of individuals at risk to commit and/or be victims of violence and improve community renewal efforts? I’m a co-sponsor of the Gun Dealer Licensing Act to prevent illegal guns from entering our communities and I will continue building support for the legislation as governor. I would also support policies including reasonable restrictions on bad actors to stop the influx of firearms, limits on the number of guns that can be purchased within a given period of time, enhanced background checks, and prohibitions of bump stocks, assault weapons, and expanded magazines. I would also enact a Lethal Violence Order of Protection to disqualify domestic abusers from owning firearms and implement a system to report and track domestic violence incidents. However, it is clear that only a fraction of guns in Illinois communities originate from Illinois dealers. That’s why, as governor, I’ll be an outspoken advocate for federal legislation promoting reasonable regulation of gun sales. If we truly want to tackle the epidemic of gun violence in our communities, we must do more than regulate guns—we must treat gun violence as a public health issue. While our state already has many programs in place to prevent and control violence, my administration will make funding primary, secondary, and tertiary violence prevention programs a priority. This means fully funding intervention services and fighting to make healthcare, including support for mental health issues, universal at the state and local levels. 2. DRUG OFFENSES: Recently, particularly in the light of the opioid epidemic, the issue of substance abuse has been begun to be recast as a public health issue, prompting calls for sentencing reform and treatment. If you are elected, how would you address the opioid epidemic? How will you ensure equitable use of federal and state opioid-related and other substance abuse funding in suburban, rural and urban areas of the state will be based upon demonstrated needs? We must address the opioid crisis as a public health problem by looking at the root causes of addiction, supporting rather than alienating those who are suffering, considering the effects of the marketing and prescription of opiates, enacting sentencing reform, creating diversion programs to prevent crimes spurred by addiction, and more. Our response must be coordinated across local, state, and federal programs; guarantee statewide geographic representation; and integrate human services, public health and law enforcement. 3. SENSIBLE SENTENCING LAWS: In his first month in office in 2015, Governor Bruce Rauner issued an executive order creating the bi-partisan Illinois State Commission on Criminal Justice and Sentencing Reform, which is composed of leaders from law enforcement, public service, academia, and the General Assembly. The executive order directed the Commission “to develop comprehensive, evidence-based strategies to more effectively improve public safety outcomes and reduce Illinois’ prison population by 25% by 2025.” The Commission met for two years and delivered over 20 actionable recommendations. While some progress has been made in implementing them, many have not been turned into law or enacted administratively. Do you support the goal of the Commission? Do you support the Commission’s recommendations? Are there any recommendations that you would prioritize? Do you have other recommendations to lower the state’s prison population? Yes, I support the goal and recommendations of the Commission and would work as governor to make the necessary statutory and administrative changes. I believe we must reassess the value of sentences and classifications for a variety of felony offenses including drug charges, retail theft, and some enhancement locations. Furthermore, we should dedicate greater resources to treatment and educational opportunities within the DOC and in transitional facilities. I also support legalizing, regulating, and taxing recreational marijuana. We should examine how to reduce our aging and terminally ill prison populations without endangering public safety. Lastly, I would reduce prison populations by proactively exercising clemency powers to address unfair sentencing and reduce prison population. program for juveniles has incentivized local jurisdictions to divert Illinois youth from the state youth prison system and has helped provide local programming that has been more successful at treating the problems that have contributed to criminal behavior. Nearly 2,500 youth have been diverted from prison over the past nine years. These diversions have helped allow the state to close three juvenile prisons and avoid more than $15 million in spending in a single year. Because of the success of the juvenile Redeploy program, Adult Redeploy Illinois was created in 2010 and has diverted more than 2,500 adults and resulted in cost avoidance of $75 million. Do you support the expansion of these Redeploy Illinois programs? Are there other programs that you support that would improve both the scope and effectiveness of diversion programs? I support fully funding and expanding juvenile and adult Redeploy programs, and believe that restorative justice and mediation should be central components of our approach to keep Illinoisans out of the state correctional system. Such efforts should be aligned with other human services and educational programs in our communities, guided by evidence-driven practices, and sensitive to cultural and situational needs. We must also take on cycles of disinvestment that contribute to over-policing and mass incarceration. This should include fully funding our schools—including making our colleges and universities tuition-free—expanding job training and apprenticeship programs, and passing a capital bill to create jobs. 5. CASH BOND: Although presumed innocent before trial, thousands of men and women across Illinois are sitting in jail solely because they cannot afford to pay the bail set by a circuit court judge. 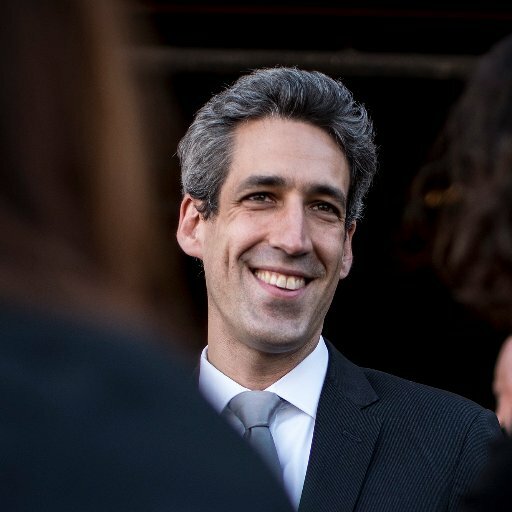 Recent reform-- including the Bail Reform Act of 2017 passed by the 100th General Assembly and signed into law by Governor Rauner and local efforts in Cook County initiated by both the Chief Judge and the State’s Attorney of Cook County – have not eliminated the use of cash bond. The financial and family consequences facing low-income people in jail are enormous. Some innocent people will languish for years in jail until trial and then are released; others will plead guilty because they want to return to their homes as quickly as possible to keep their lives on track. Some Illinois courts keep up to 10% of all bonds – even when a person is found not guilty or charges have been dropped – and have become dependent on the bond system. How would you reform the Illinois bond system? public data to evaluate and improve the bond system. As governor, I would work with the judicial branch to ensure that these changes to the legal codes make their way into courtrooms across the state by providing ongoing training to judges, prosecutors, public defenders, and other relevant players. 6. DEPARTMENT OF JUVENILE JUSTICE: Over 10 years ago, the Illinois Department of Juvenile Justice (IDJJ) was created as a stand-alone agency separate from the Illinois Department of Corrections, and the new IDJJ was directed to emphasize rehabilitation of youth rather than only punishment. Through a variety of legislative and administrative actions, the state’s youth prison population has been reduced from an average of 1,200 to under 400 youth today. This has resulted in the closing of three youth prisons. IDJJ now houses the remaining 400 youth in five prisons operating at less than half of capacity. Should some of the existing underpopulated prisons be closed? Does the state do enough to keep youth out of prison and rehabilitate those sent to state prisons? How would you improve the juvenile justice system? How would you measure the success of DJJ and its aftercare programs? I support examining the need to close or adapt DJJ facilities. I also support building on recent reforms designed to keep youth in community-based programs rather than in state facilities, as inappropriate or lengthy stays in confinement are known to be harmful and contribute to recidivism. Beyond improving and expanding diversion efforts and policies to keep juveniles out of adult justice systems, we should expand access to legal counsel and review our DJJ release approval system to investigate how to expedite decisions and improve youth access to legal counsel. 7. DISPROPORTIONATE MINORITY CONTACT: The term Disproportionate Minority Contact refers to the disproportionately high percentage of minorities in the criminal justice system in proportion to the general population. For example, rates of marijuana use by youth are similar across all racial and ethnic groups, but African-American youth, who make up 42% of Chicago’s youth population (ages 10-17), account for 79% of juvenile marijuana arrests in Chicago. Unfortunately, the disproportionate minority contact phenomenon is not limited to just marijuana arrests and spans across the entire criminal justice system. How would you reduce or eliminate disproportionate minority contact in the Illinois justice system? I would address disproportionate minority contact in the Illinois justice system by reducing disparities in arrests, reforming sentencing policies, and investing in communities of color. For example, we can create transparent data collection programs to track encounters between law enforcement and the people they serve. We must also improve transparency and protect due process in gang databases and prevent individual’s innocent from appearing in them. By improving transparency in these ways, we can better assess disproportionate minority contact and track the degree to which we’ve reduced the problem. We must also revise police department recruitment programs to enhance diversity outreach and require sensitivity and diversity training for all state employees, including police and prison staff. When we educate law enforcement on these issues, and make them aware that disproportionate minority contact will be transparently communicated, we can change their behavior. We must also look to our sentencing policies to eliminate this problem. For example, we must end the racist war on drugs by legalizing marijuana, end monetary bond, and ensure sentences are proportionate to crimes. As governor, I will proactively exercise my clemency powers to address unfair sentencing and reduce the number of people who are incarcerated. Even beyond changes to policing and sentencing, we must end the vicious cycle of disinvestment that drives disproportionate minority contact. For too long, our state has failed to adequately invest in schools, social services, job creation, transportation, and other vital programs and services in communities of color. This disinvestment strips communities of legal economies, driving up policing and resulting in the criminalization of poverty and further disinvestment. Instead of increased policing, we must respond with investments in these communities to support strong schools, good jobs, and expanded social services. 8. RE-ENTRY: Each year over 30,000 Illinois residents are released from the Illinois Department of Corrections, with nearly all returning to the same economically depressed communities in which they resided before their incarceration. Now over one million Illinoisans have some form of criminal record, which routinely interferes with one’s ability to take advantage of employment, housing and educational opportunities. That lack of access can create social and economic circumstances that result in illegal behavior. Consequently, nearly 50% of individuals released from Illinois Department of Corrections return to prison within three years, and fewer than 2% of the 425,000 individuals released between 1999 and 2015 have obtained and held a taxpaying job for two consecutive years after their release. Improving employment outcomes for people with criminal records through employment training and job assistance outside of prisons in the community is one of the most successful methods of improving the reentry of returning citizens to their communities and reducing recidivism. How can the State of Illinois remove barriers in housing, education and employment for previously incarcerated individuals and reduce the recidivism rate? What programs would you support? Would you invest in skills training, re-entry services, and transportation for people with records to reduce unemployment, violence and poverty? We should closely examine how to address and provide relief from the debt burden faced by individuals within the criminal justice system. In 2016, I passed legislation, vetoed by Governor Rauner, to ban the Department of Corrections from collecting reimbursements for incarceration costs from individuals exiting the system. I’ve also supported professional licensing reform to create opportunities for previously incarcerated individuals and will look for opportunities to expand on these efforts. As governor, I would limit the use of late fees and charging of interest on debt, and ban the extension of probation or supervision for non-payment of debt. I would also end the practice of revoking drivers’ or professional licenses for some minor offenses. Lastly, the previously incarcerated experience undue roadblocks in accessing capital, especially those who live in communities facing disinvestment. We should explore and create innovative programs to make sure these individuals and communities get the financial investment they deserve. We should also provide training and education to incarcerated people and consider ways to expand access to housing, including “banning the box” for rental applications and funding housing support upon release. Sign up with your email address to receive news and updates approximately twice a month on topics in juvenile and adult criminal justice reform.